Chief James Onanefe Ibori has reacted to the huge response to his press statement of Sunday 14 October, 2018, where he said he had little confidence in the British Judicial system because of the brazen miscarriage of justice and abuse of human rights he experienced first-hand during his travail in the United Kingdom. 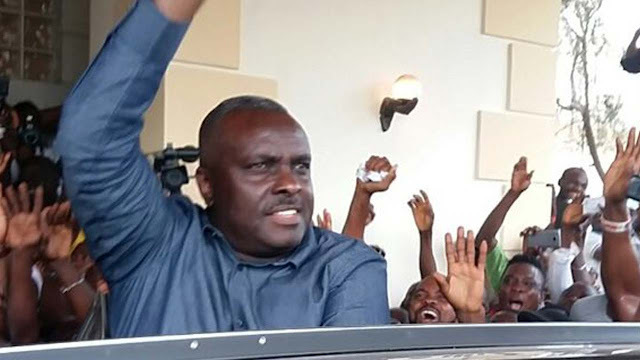 Reiterating his stance of yesterday Ibori said: “Let me re-state unequivocally what I stated in my application for leave to appeal my conviction at the Court of Appeal. I continue to hold that I am a victim of political persecution. Consequently, I have lost faith in British Justice and the ability of the British legal system to dispense justice fairly because it is deeply entrenched in politics and international conspiracy funded by Department for International Development (DfID). I have been through it and have observed first-hand the desperation and wicked machinations inherent in a process that pronounces you guilty then finds evidence to cover up a corrupt system at all cost even at the detriment of the integrity of the judicial process”. In yesterday’s statement signed by his Media Assistant, Tony Eluemunor, Ibori drew attention to a tweet from Mr. Lambertus de Boer, which stated that “anybody conversant with the case would know that The Ibori & V Mobile Appeal comes to an important juncture. It will be interesting to see the Lord Justices' findings concerning the Metropolitan Police Service Proceeds of Crime Unit ('POCU') corruption, it's cover up and non-disclosure in all trials & appeal. Convictions Unsafe”. To Ibori, that is the heart of the matter. He said: “The British judiciary is supposed to rest on a strong foundation of openness, transparency and the rule of law. My Barristers have done their best to draw attention to the issue of disclosure and the protocol associated with materials obtained by way of wiretap. It is a short and simple case that does not require the length of time it has taken to adjudicate. Its either the leave to appeal is granted based on the fatal nature of the disclosure-failure or a brutal assault on the integrity of British Justice would be committed. The Crown Prosecution Service deliberately spat on the law when they wilfully disregarded the stipulations of the law governing the use of disclosures as applicable to evidence procured through telephone intercept, and even the rules that govern wiretapping itself. This flaw is unpardonable in British legal system even in serious cases like terrorism much less fraud and money laundering of which prison terms have been served and expired. Thus the lengthy delay can only point to conspiratorial cover-up and silence”. Ibori said: “It is also a proven fact that massive Police corruption has been uncovered in this case. How the Court of Appeal Justices will view them is therefore important to watchers of the United Kingdom’s system of justice. This will show whether the much talked about British Judiciary is more of a hollow ritual in politically charged cases or whether it can administer justice fairly no matter whose ox is gored. I have my doubts”. The Court of Appeal in London will tomorrow rule on the application for leave to appeal on the grounds of massive disclosure failures on the part of the Crown Prosecution Service and the Metropolitan Police. Ibori’s lawyers have accused both agencies of deliberate cover up police of corruption.